We are a vibrant community of people from all walks of life and of all ages. We are made up of many different cultures. We love to meet for coffee. Our kids and young people have fun and grow together. We show our love for God by loving others. We pray for the sick, care for the broken and give to those in need. We worship, we pray, we laugh and we cry together. We are church. 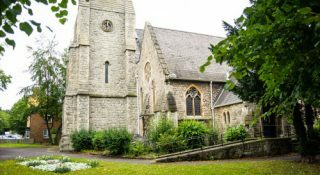 We are a friendly community, meeting weekly for Sunday services at 10.30am, with a relaxed style, and there are lots of activities taking place throughout the week. We are a welcoming family from all walks of life and a growing church; a diverse community with members from across the globe, something we cherish and are excited about. We also have members of the church family serving all over the world. Motivated by our faith in the Lord Jesus Christ, empowered by the Holy Spirit and grounded in our Values, we love our church community, our local community and the world community. Do come and visit on a Sunday morning, or contact us for further information.